This game is amazing! the game-play is similar to Mario games but has a few twists. you can roll, throw barrels, and slap the ground. The levels get progressively harder with enough time to hone your skills. all in all this is a great game that everyone should get a chance to play. A great, and unexpected move on Nintendo's part. 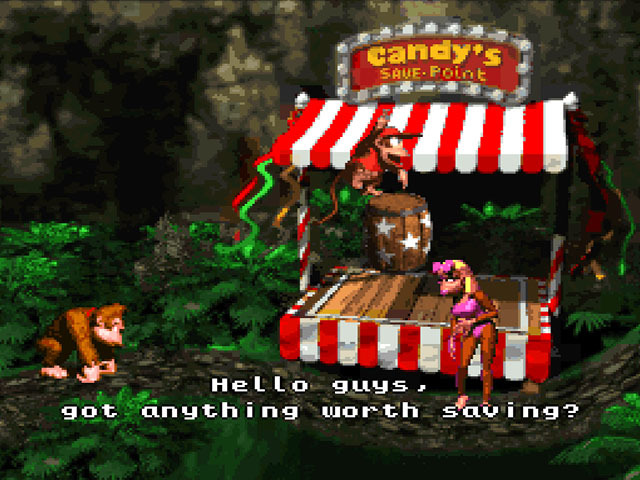 Giving Donkey Kong, the ape from the arcade title, a platforming game on their newest system? For whatever reason they did it, I'm glad they did. This is one of the best games on the SNES and one of the best and most polished platformer I've ever played. You play as the big ape himself AND his new friend Diddy as you try to recover their stolen hoard of bananas from the evil King K. Rool. You can switch between both Donkey and Diddy for different situations (Diddy is faster and jumps higher, while Donkey is more powerful). This game is very difficult in the later levels but you are eased into the challenge from several easier levels, giving you time to form your skills. If you're looking for a game on the SNES, this one will have you captivated for some time. I highly suggest it. 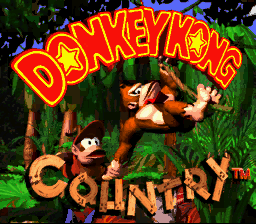 The first DKC game, the beginning of one of the greatest videogame series in history if you ask me. I'm epically glad theyd ecided to reboot the series with DKC Returns (Wii). Well, there's not much to say about DKC. It's a classic sidescroller akin to the Mario games, but with some added twists such as throwable barrels, hidden passageways, and a lot more. If you like SNES games, or even if you don't - You absolutely have to play this gem of a game. 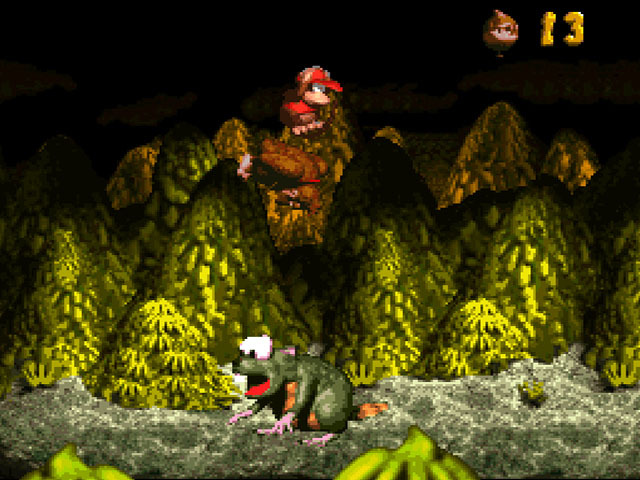 Donkey Kong Country is the first game by Rare based on the character of Donkey Kong. It's pretty much a Super Nintendo classic. Donkey Kong had originally apeared in the classic 1981 Donkey Kong game. 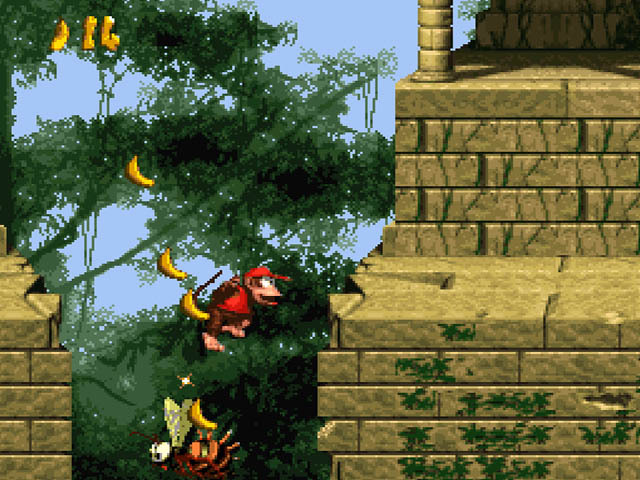 However, in a good way, Donkey Kong Country is completly different. Instead of jumping over barrels as mario, you're Donkey Kong instead. And the goal of your quest isn't to save some damsel in distress, but to get your stolen bannanas back! You'll have to complete various areas with a certain ammount of levels. Each areas features a boss, in a very similar fashion to super mario bros 3 or super mario world. You need to beat the boss in order to move to the next area. 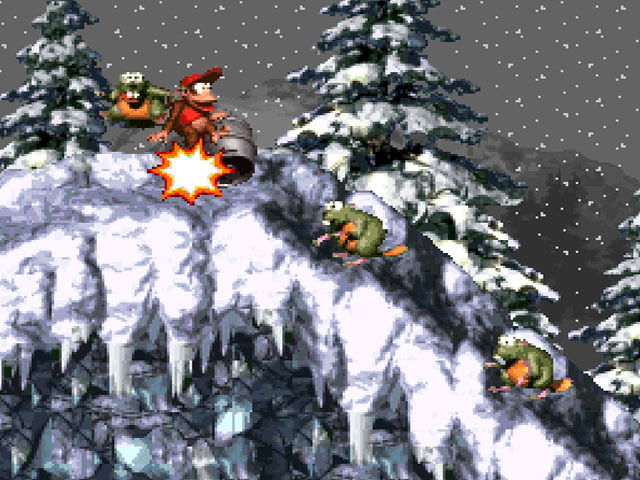 The gameplay is similar to most platfromers, except that Donkey has a few tricks up his sleeve. He can roll, pick up and throw barrels, he also has a special ground attack, and can ride on rolling barrels ! Though powerful, Donkey is large and slow, but hopefully his pal Diddy Kong is there to help him ! Diddy is much faster and lighter than Donkey, but he lacks the ground attack move. Anyways, I strongly recommend this game, especially if you like platformers, or any Mario games. Even if you're new to the genre, you'll have lots of fun. 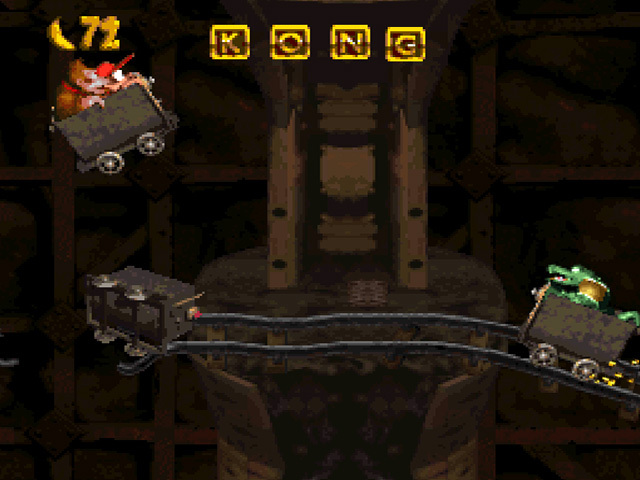 Donkey Kong Country (USA) is a platforming game that was developed by Rare Ltd. and published by Nintendo. 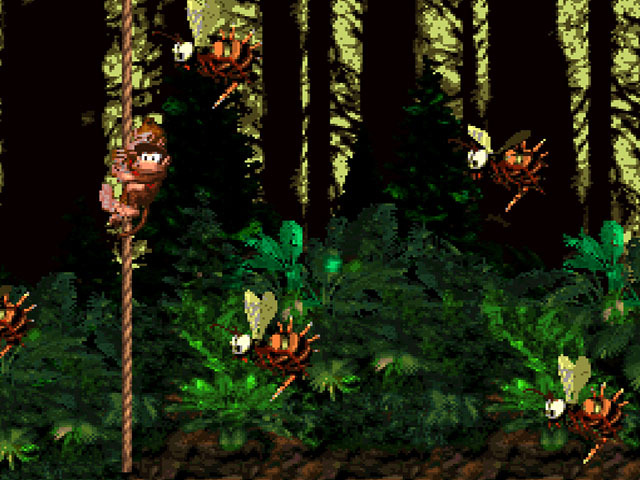 Read all 6 reviews for Donkey Kong Country (USA) Submit your description for this title!